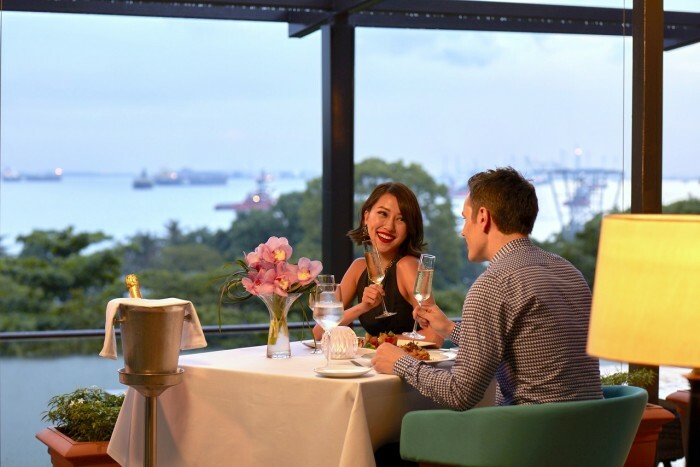 Celebrating a special occasion or aching for a getaway in Singapore? 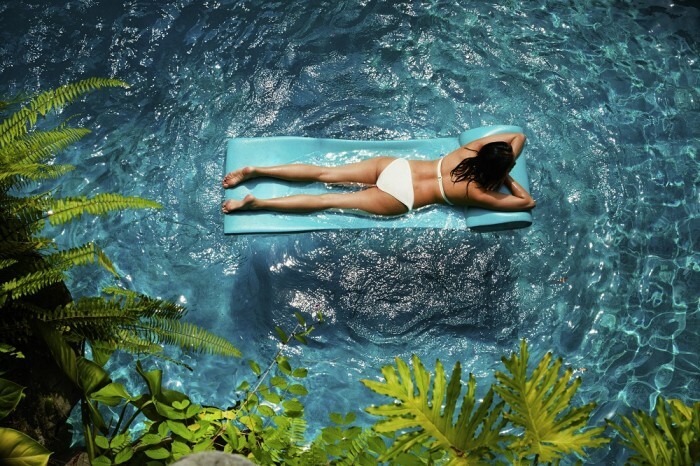 Sofitel Sentosa might just be your best bet for the perfect staycation. Staycations, we all know, are the best way to sneak away and recharge from that hectic city life. But staycations are also increasingly becoming excellent choices to celebrate birthdays, treasured friendships or even as gifts to pamper yourself or someone you love. 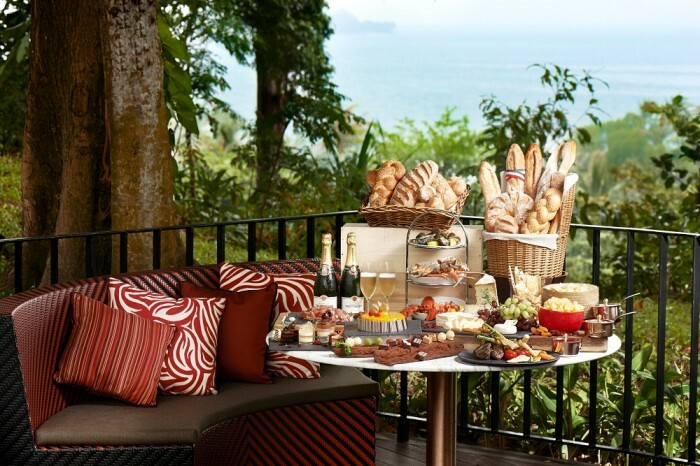 The team at Sofitel Sentosa understand that every detail is important for these special occasions. 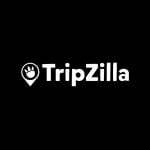 They have put in the time and thought into catering to each type of staycation go-er – no matter your occasion, large or small – so that your stay is not only enjoyable but one to remember. How do we know this? We heard so much about the wonderful staycations offered at the new Sofitel at Sentosa that we had to go try it for ourselves. 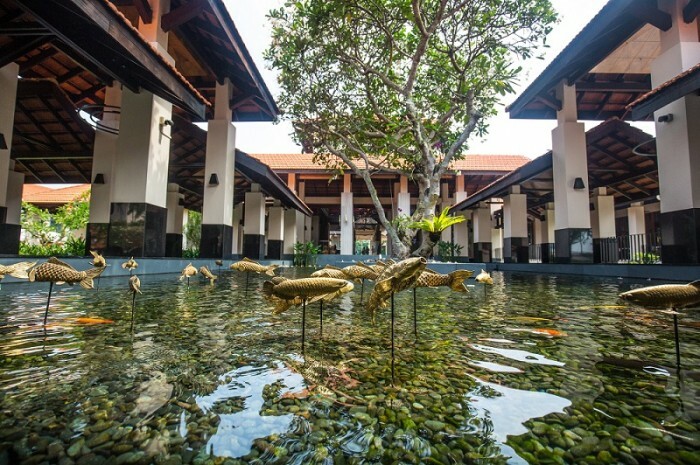 Upon being greeted first by the beautiful grounds and then the lovely staff, I was instantly transported into a state of relaxation– and I was just at the lobby! I took a look around and was blown away at how tranquil and peaceful the entire atmosphere was. And almost immediately I found myself imagining the different types of scenarios that one would find themselves at Sofitel. So no matter what kind of staycation go-er you are, here are some things that Sofitel would be the perfect destination for. 1. 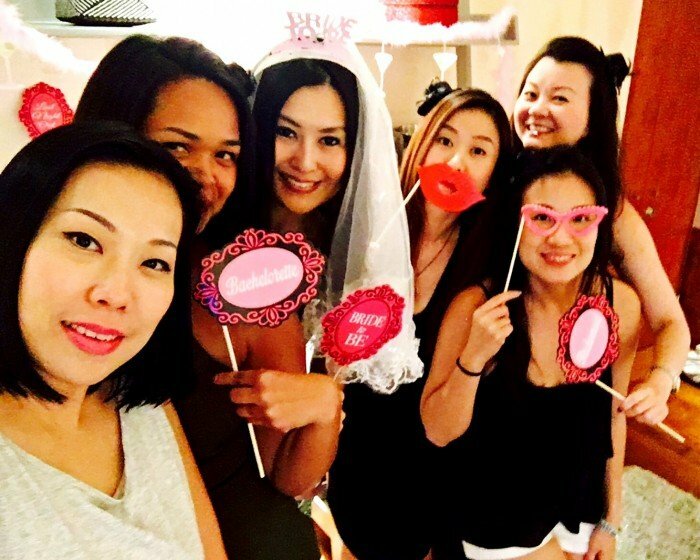 Hen’s & Bachelor’s Parties - Catch Them Before They Marry! Need some downtime with just the girls or the boys before the wedding? 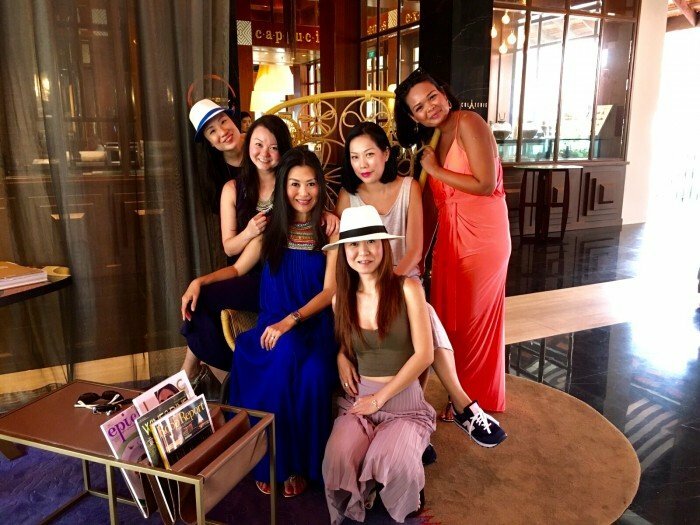 Sofitel is an amazing place to invite them to have some quality time relaxing and getting up to your usual antics! The suites and villas, with the luxurious and intimate setting, would be perfect for catching up on those heartfelt conversations that you’ve missed. Also, LeBar is a stone’s throw away, where you can grab drinks before heading to the nearby Tanjong Beach Club to have a few more drinks or to dance the night away. Planning to surprise the girl or guy of the hour? 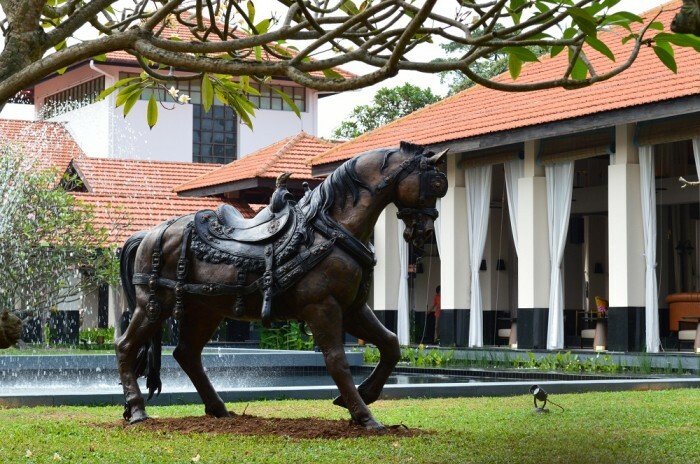 Sofitel’s dedicated staff would be happy to help you with pre-arrangements should you need any. Just give them ample notice and they’ll make sure everything’s in place. 2. 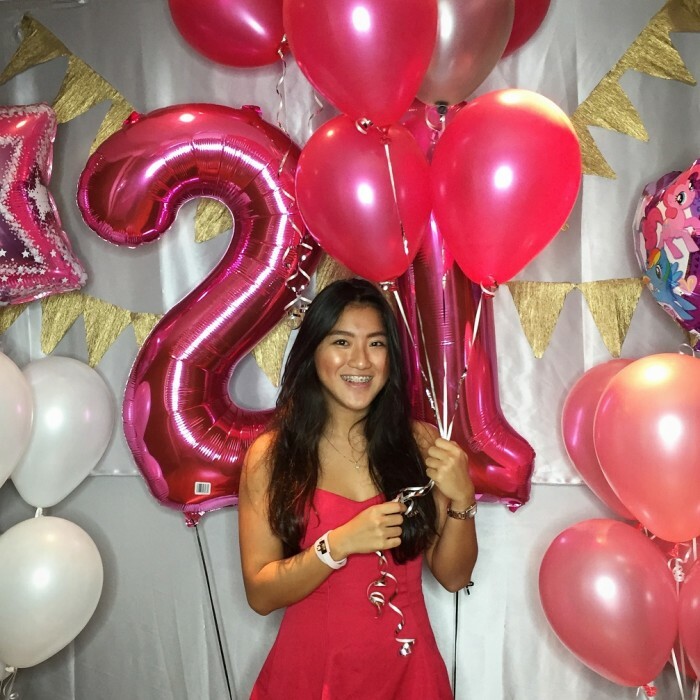 21st Birthdays - Coming of Age! Important milestones like birthdays and anniversaries are great occasions that are meant to be celebrated. The villas in Sofitel are the best size for having parties with a garden terrace where your guests can mingle and hang out. It also comes with a private pool that gives you that extra touch to your party if some of your guests want to go for a dip! Psst… if you are planning a surprise, do let the Sofitel staff know ahead of time, they may just throw in something nice for you and that special someone. 3. Mini-moons - Before the Honeymoon! Mini-moons are ideal for newly weds who need time to relax. Seize this chance to spend some much needed one-on-one time with your significant other before you get swept up in the frenzy of the wedding preparations. And while you’re thinking about it, why not hold the actual wedding at Sofitel? The gorgeous space at The Cliff restaurant serves as the perfect place to exchange your vows overlooking the sea. The view is absolutely stunning, take my word for it! Everything you’ll need from a wedding coordinator to the luxurious Bridal suite, Sofitel has a dedicated team that will look into all your needs to make your dream wedding come true. 4. Escape the City - Hello Peace and Greens! With the hotel being situated in a quiet corner of Sentosa, Sofitel is ideal for those who would just like to escape the frenzy in the city. With lush greenery everywhere on the hotel grounds, it’s hard not to feel like you’re taking a relaxing walk in a park instead of a hotel. The entire place felt like a huge garden! 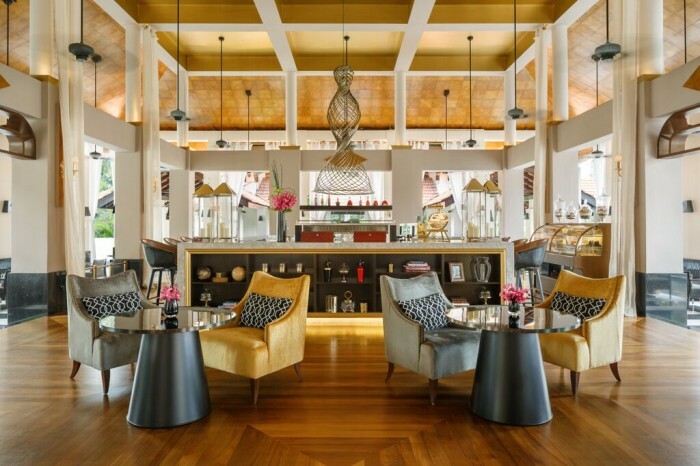 The luxe design of the hotel was the brainchild of two French Designers based in Bangkok – Beatrice Martinet and Pierre Maciag. Admiring their work, I walked around the hotel during midday and was pleasantly surprised at how quiet it was. It was so calming.... With the exception of a kid screaming every now and then. To really get your zen to the next level, head over to So SPA and make your way to The Labyrinth. The spiraling paths, with one way in and one way out, will clear your mind. Set in an empty garden, look forward to a time with no distractions and just be. The noise level at most places is almost minimal and will have you feeling at home. Plus, there are plenty of seats located all around where guests can sit to read a book or just to spend some quiet time alone or with their select company. 5. Anniversaries - Or Just For Couple Time! If you’ve been neglecting your other half recently and want to make it up to them, plan that romantic getaway right here. Sofitel also specially offers couples a bottle of champagne on ice, a romantic gift, breakfast served in the room every morning and a late check-out! Sounds like the perfect romantic getaway indeed. 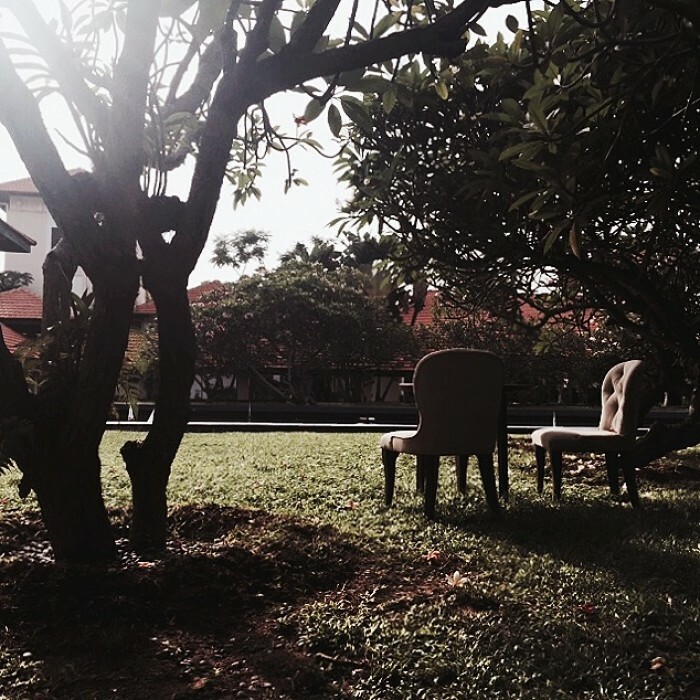 Take long, idyllic walks along Tanjong Beach which is situated just 5 minutes away from the hotel via a flight of stairs, or around the hotel grounds where you can admire the lush greenery. The many comfortable seating areas situated around the hotel are perfect for you to spend time with your loved one just chatting the day away. The sparks that once felt like it was sizzling out will reignite once again. Treat your other half to a delectable meal and a glass (or two) of wine at ilLido at the Cliff as you look out over the amazing views. Alternatively, if your other half is health conscious or just starting his/her diet, take them to The Garden which specialises in healthy and wholesome eating. 6. Family Bonding with the Kids - Fun for the Whole Family! Who says kids can’t have a load of fun at a staycation? 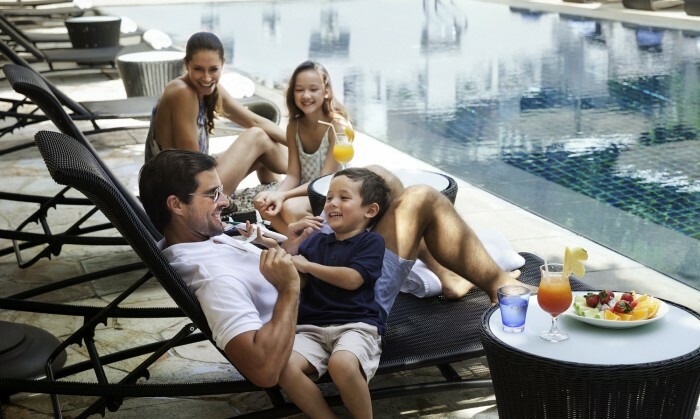 Families would absolutely love Sofitel. Look forward to having a Pharo massage jet whirlpool, a garden terrace and a private pool all to yourselves when you book a villa for the family! In-house guests can rent mountain bikes or the tennis court for free. Spend the day riding around on bikes or have a competitive game of tennis! A public pool is also available for your kids to take a swim although it does get deeper at the ends. Alternatively, spend the day lounging by the poolside in the very comfy lounge chairs or the daybeds! Who knows, you might just slip into a time of slumber for an afternoon nap too. For parents who are looking to spend a day at So SPA for a time of relaxation but worry about how the kids are going to entertain themselves, don’t worry! 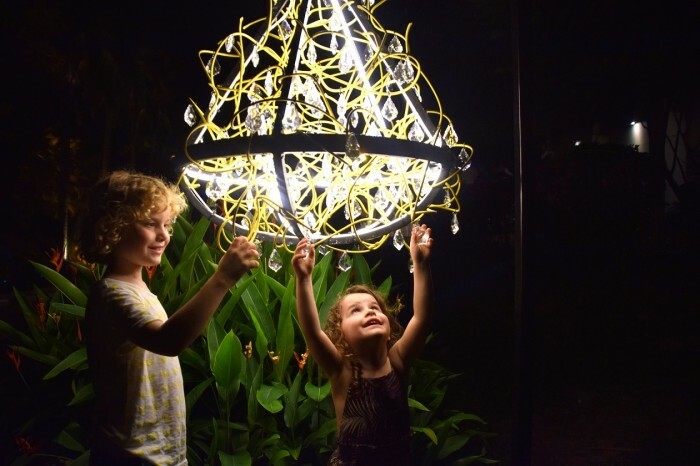 The Villa des Enfants, will have programmes that will be suitable for your kids (aged 4-11) and is situated above The Garden restaurant next to So SPA/So FIT. The Villa des Enfants will be open daily from 10.00 am to 6.00 pm. But if your kids are getting restless, there are other attractions near the hotel that you can bring them to for a fun day out! A great thing about being a guest at Sofitel is that there are chartered buses that travel to and fro Vivocity every half-hourly. 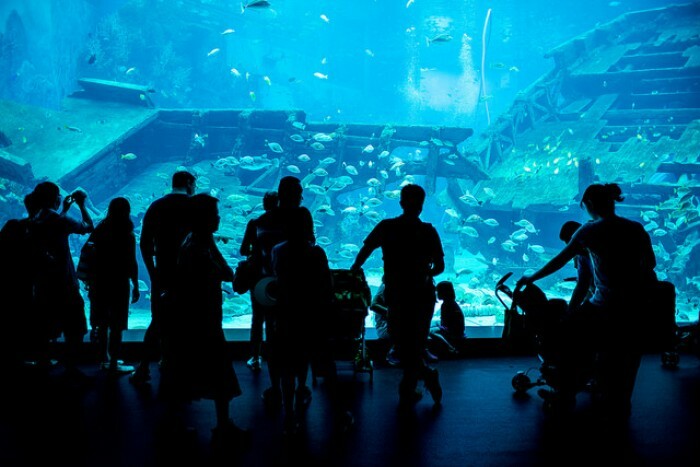 Guests may request for the drivers to drop them off at Resorts World Sentosa where they can visit places like the USS theme park or SEA Aquarium. Otherwise, Tanjong Beach is just a flight of steps away where your family can spend some quality time building sandcastles and burying each other in the sand! On Fridays and Saturdays, kick back with the family have watch a movie by the poolside at So SPA. It will be an experience like no other. 7. Health Nuts - Get Fit while You’re at it! If you’ve been feeling like your health needs a boost or you finally want to start a healthy lifestyle, you can do just that at So FIT. 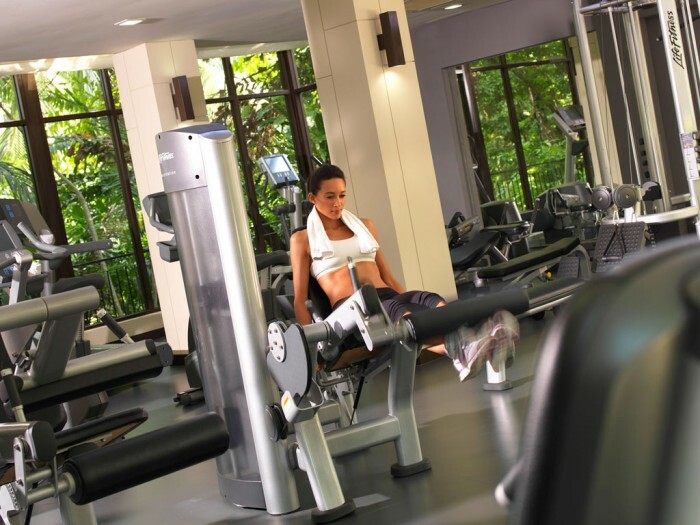 The spacious gym will have everything that you’ll need to get in shape! With a personal trainer available at your request, guests can tailor their fitness regime according to the various equipment and services provided. They have a wellness calendar where guests can even have a week-long plan to start their healthy living and trained instructors are also there to give you a more educated work out experience. Have you been feeling lethargic and aching to have those muscles rubbed out? A day at the spa might just be the cure! So SPA is the largest of its kind and aims to provide guests a luxurious and therapeutic time. When you’re there, a must-try would certainly be the Mud Pool. The volcanic mud that has a high mineral content has an energising and purifying effect on the skin. After my time there, it left my skin feeling silky smooth and even had a glow! After I washed off the mud, I wasted no time in grabbing a floating mat and spent a good amount of time at the The Float Pool. I let the ripples of the pool carry me wherever it went as my body went into a state of relaxation. The varying water pressure of the cascading waterfalls was also a good appetizer massage before I finally headed to my facial session. For those of you who rather a full on massage, So SPA has highly skilled professionals who will rub out those muscles that will leave you sighing in total satisfaction at the end of the session. I was treated to a Cinderella Facial and it was honestly the best facial experience I had. The therapist’s hands deftly applied pressure at all the right points and I was even treated to a soothing massage at the end. I reached a state of relaxation that left me snoozing—woops! To top it all off, a Cinderella serum was applied that left my skin glowing for up to 5 hours. This facial is perfect if you’ve got an event to attend or even on your wedding day! After spending a few hours at Sofitel’s So SPA, I left feeling rejuvenated and satiated. I didn’t want to leave. If you’re the sort that loves to stay in and relish in all that your hotel room has to offer (like the bathtub), Sofitel has rooms that would make even the most adventurous feel like staying in! Luckily for all of us, Sofitel’s beds are an experience in itself. With a feather duvet and top mattress soft enough that you feel yourself sinking into it, your inner homebody will be squealing in delight. Did you know that you can actually order from a pillow-menu?! Take your pick from the range of pillows provided that will suit any type of sleeper! The first time I laid on the Sofitel MyBe d™, I couldn’t help but let out a tiny squeal at how comfortable the bed was. The beds are firm yet extremely soft and cushiony at the same time. Staycations are best for resting and the beds in Sofitel definitely made it hard to get up for breakfast on time. 10. Gourmet Goodness - Feast on Delectables! The time to pamper your tastebuds is now. 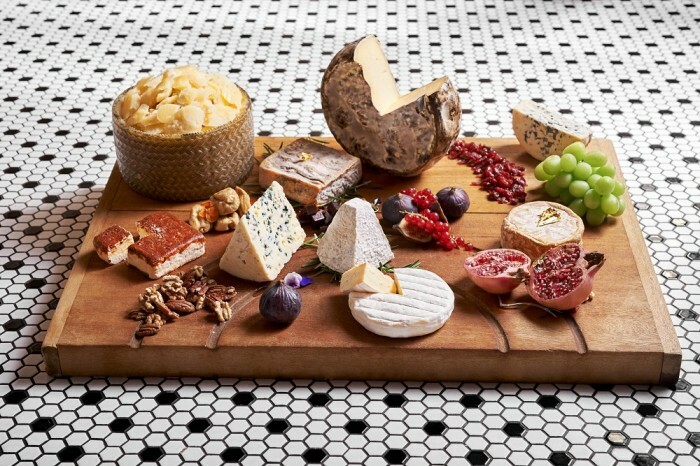 To all of you who love your cheese, you’ll be delighted at the generous selection of a whopping 32 different types of cheeses! And don’t pretend that you wouldn’t make an excuse to have everything with it. 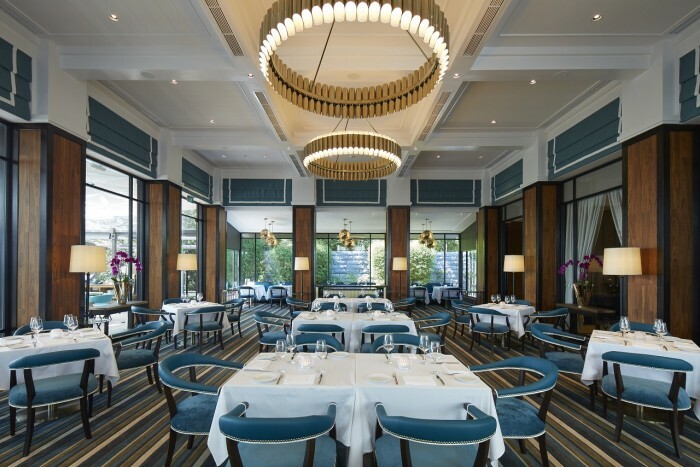 But apart from cheeses, Sofitel has an array of dining options for you to choose from. Whether you appreciate the finer things in life, or would rather eat healthy, Sofitel has everything that you’ll ever need to indulge in gastronomical goodness. For those who have a hankering for gourmet food, ilLido at The Cliff serves palatable Italian classics daily from 12pm-2pm and 6pm-9.30pm daily. The wide spread will have you salivating at the mere sight of it. Wash it down with a glass of Old or New World wine of your choice. Feeling peckish? 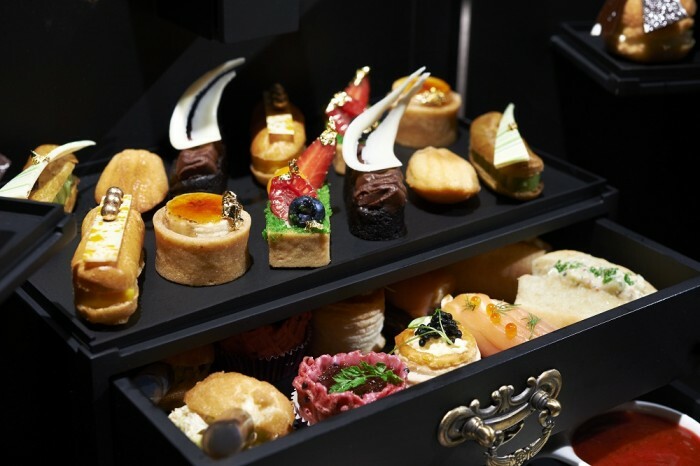 Go for the Afternoon tea à la Française, which consist of 11 sweets, 5 savories, 2 scones and free flow of coffee and tea for two. It is available daily from 12pm to 5.30pm. For the health conscious, The Garden, located next to So SPA, offers a more wholesome alternative to meals at Sofitel. Sink your teeth into crispy fresh greens and specially prepared ingredients that will make eating clean a whole lot of fun! Opening hours are from 11am to 10pm daily. Alternatively, head over to Kwee Zeen for an interactive dining experience. The open kitchen counters will serve delectable Pan-Asian cuisine embellished with a French touch. Choose to dine in the al fresco area for a tranquil meal anytime from 6.30am-12am daily. Look out at the sea as you bask in a lush setting full of beautiful greenery. On Sundays, head over to their Magnifique Sunday Champagne Brunch where you can look forward to feast on live seafood, foie gras, fromage & charcuterie, Tandoor & Chinese, and not forgetting desserts and handcrafted truffles from Chocolaterie. 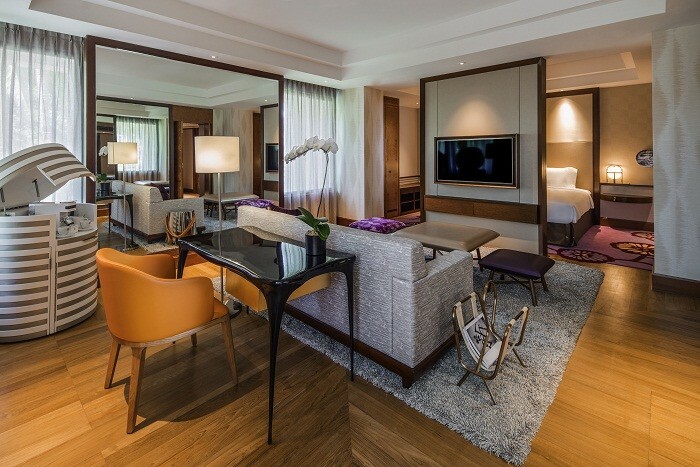 There’s really no reason for you not to have a staycation at Sofitel now. With even the most minute of details being taken into consideration, you’ll be treated to a stay that will leave you feeling rejuvenated, relaxed and recharged!